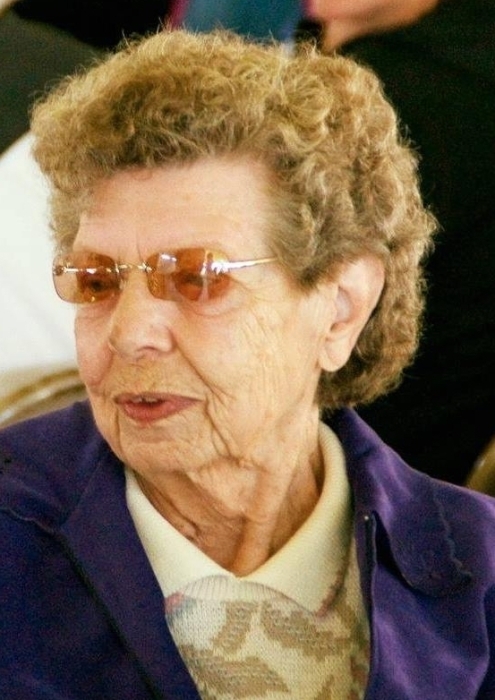 Shirley McClain Duffert, 89, of St. Croix Falls and formerly of the Balsam Lake area, died on Monday, April 9, 2018 at the Christian Community Home in Hudson, WI after a short and dignified fight with leukemia. Shirley was born in Chicago, IL to Charles and Helga McClain on July 28, 1928. She graduated from Mechanic Arts High School in St. Paul, MN in 1946 and went on to earn a BA and MA in Speech Communication from the University of Minnesota. She enjoyed a successful career in several Fortune 500 companies as well as at the Medical School of the University of Minnesota. She was an avid reader and wordsmith. She loved the English language almost as much as she loved the Word of God. She had a sparkling wit and was able to hold her own in successful conversation on most any subject with any person at any time. Shirley loved to travel and visited many of the States during her lifetime as well as making several trips to the British Isles. She loved baseball in general and the Minnesota Twins in particular. Shirley leaves to celebrate her memory: son, Charles M. (Kathleen) Duffert, Wausau, WI; grandchildren: Erin (Richard) Desvousges, Lauren (Ryan) Krebsbach and McClain (Kate) Duffert, great grandchildren: Shirley Jean, Richard Joseph and Brynn Felice Desvousges, Charlotte Mystery and Harrison Adventure Krebsbach and Aberdeen Ryland McClain Duffert, niece, Elizabeth (Dennis) McClain Roberts and other loving family and friends. She was preceded in death by her parents, Charles and Helga McClain, husband, Jerome Duffert, brother, Charles McClain and sister-in-law, Raenell McClain. The funeral service for Shirley will be held at the East Balsam Baptist Church on Monday, April 16th, 2018 at 11:00 A.M. Visitation will be held at the church beginning at 10:00 A.M. Pastor Wayne Johnson will officiate. 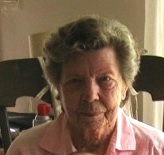 Shirley will be laid to rest at the Balsam Lake Cemetery following the service. Pallbearers will be Richard Desvousges, Ryan Krebsbach, McClain Duffert, Dennis Roberts, Aaron Roberts and Steve Volgren. Following the cemetery service the family invites their guests to join them for lunch and fellowship at the church.